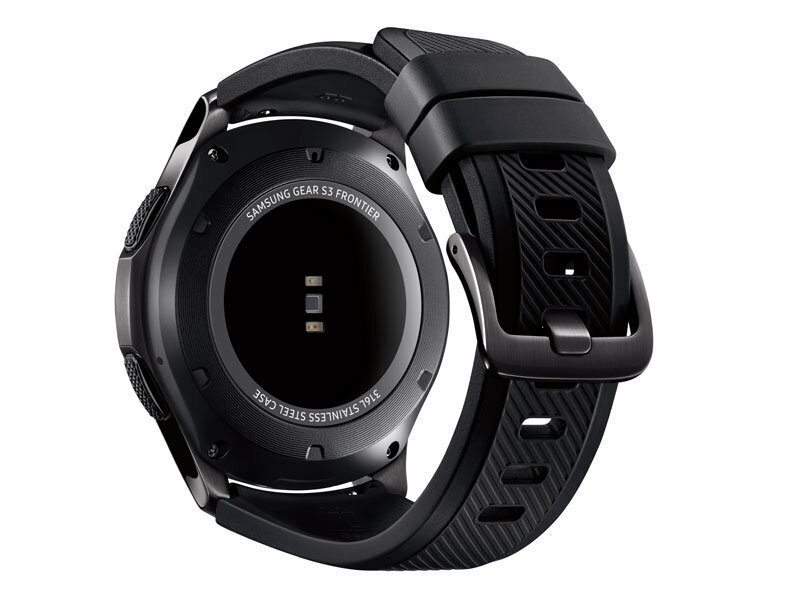 Samsung Gear S3 Frontier | Binary Messiah - Reviews for Games, Books, Gadgets and more! While this is my third smartwatch, this is my first non-Android Wear watch, and I have to admit I was very skeptical and unsure. For one, all my apps and watch faces I bought on Google Play are now gone as Samsung uses their own OS called Tizen to power their watches. Why would I plunk $400 down on a watch and be so unsure? I don’t really have a choice. A lot of smartwatch brands like Huawei and Motorola have paused their smartwatch lines until Google can improve and build upon Android Wear. Remember, we’re STILL on the first version of Android Wear with only a couple of watches getting 2.0 as of the last couple of months. What attracted me to the S3 was that it was a 4G watch and looked like an actual watch. It’s rugged, well built, and fast, unlike some other watches. While Android Wear performed fairly well on the Moto 360 2nd Gen., it still wasn’t enough and felt like it didn’t evolve. Samsung’s own Galaxy App store is full of useful and fun apps and watch faces. I didn’t really have to worry there, and surprisingly, there’s even quadruple the number of watch games on the Galaxy App store compared to Google Play. Before we get there though let’s talk about the actual watch. The actual body is a bit heavier than my Moto 360 2nd Gen. It’s made of military grade material and is actually water and dust resistant with an IP68 rating which is amazing. You can wash your hands or do some dishes without worrying about ruining your watch. The silicone bands feel well built and much better than the cheap leather Motorola uses on their watches which deteriorated in about 2 weeks of use. The clicking dial on the watch face feels great to use and is very responsive, I was afraid it would feel cheap and flimsy and it doesn’t. The touchscreen feels nice and is extremely responsive which is a must for something like this. This watch has two physical buttons with one being a back button and one for power. The way Tizen works software wise is much more convenient than Android Wear and I was shocked and also relieved because for now, I’m done with Android Wear until they can make some major improvements. You can swipe to change your watch widgets which is much better than having an app drawer. This was one of the biggest fallbacks to Android Wear was that it felt like Android OS mushed down into a watch. 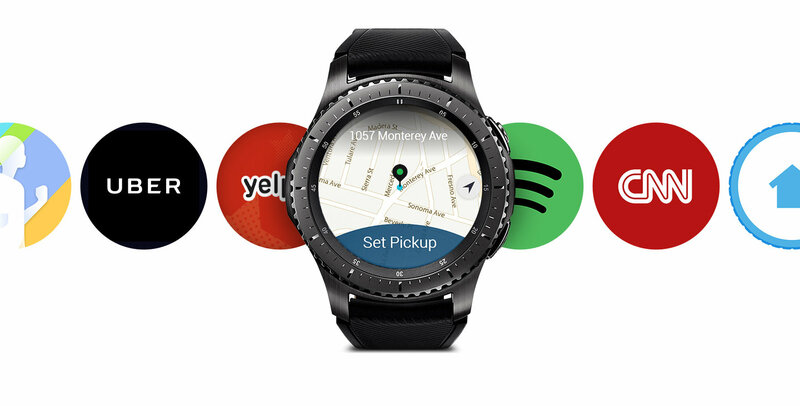 All the Samsung apps have their own widgets that operate a certain way on the face at a glance and then when you press the widgets you go into the full app on the watch. The scroll wheel just smoothly flies around the watch and makes finding your widget a breeze and it beats having to rely on the touchscreen and swiping a lot. If you don’t want to scroll all the way through your widgets you can go to the app carousel which has the icon on the face and you can scroll around to find what you want. Still very fast and easy to use and I love this feature. If you scroll all the way to the left it will show your last used app one click past the watch face which is useful. 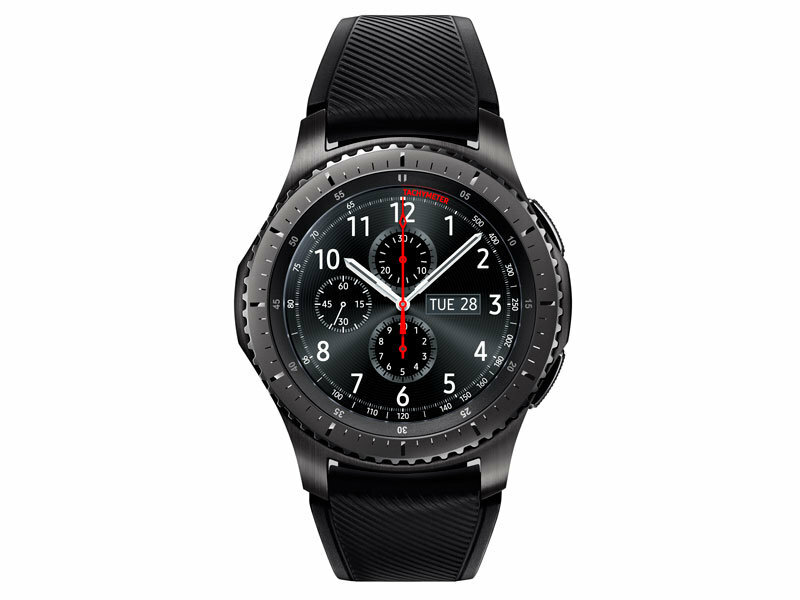 The watch is equipped with Samsung Voice so a simple “Hey Gear” will bring up a very responsive voice command to call or text anyone. This is made easier with a mic and speaker on the watch so all calls can be done through your watch which is a major step up over Motorola’s watches that only contain a mic and all calls must be done on the phone. This leads to the watch having call forwarding which is the best feature of this entire phone. You can leave your phone somewhere and still get calls on your watch. This is great if you forget your phone somewhere or don’t want to carry it around. 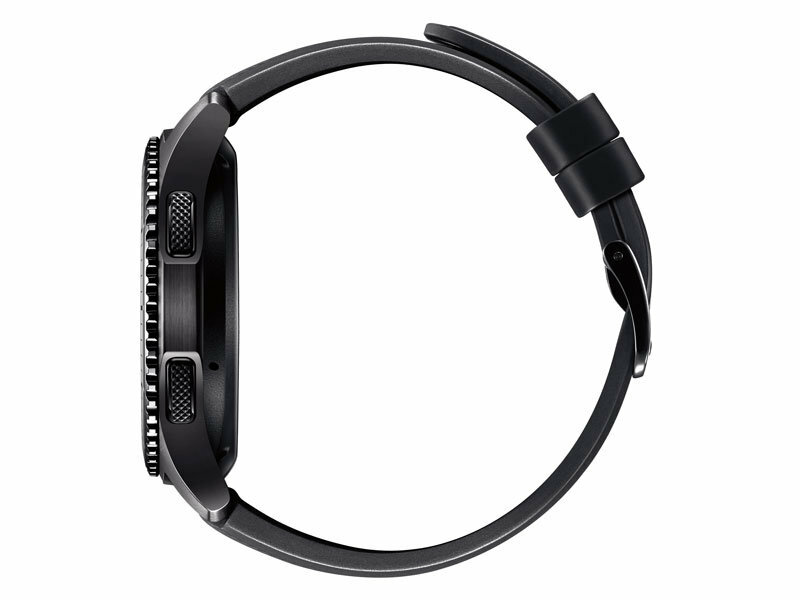 This is only for the 4G watch and not the Bluetooth only versions. Surprisingly this watch doesn’t have the insane hardware to be responsive and quick. The screen has a 360×360 resolution and is running on only a dual-core 1Ghz CPU which is Samsung’s own Exonys 7270. The screen is gorgeous and it would be with Samsung using a Super AMOLED display so it is the best looking watch screen on the market. It only has 768MB of RAM and 4GB of ROM, but it seems to be enough as Tizen is hand tailored to this hardware. The watch also never gets hot, unlike Android Wear. Snapdragon SoC’s are notorious for burning up when pushed really hard and that is what was in the Moto 360 2nd Gen. The Gear app is fairly robust and has more features than Android Wear which hasn’t really updated since day one. The only thing I can’t change is waking the watch up when you bring your arm up. This is a feature that will never 100% work right as the watch can’t tell if you’re making gestures or looking at it. There is also no dim mode on this watch which Android Wear does have and that is probably why you can’t disable the feature. When you aren’t looking at the watch the screen is off. You can also find your Gear through the app and lock it if it is lost or stolen which is easier to use than Android Wear. One of the best features is native Samsung Pay that Android Wear has yet to implement. Just long press the back button and up comes Samsung Pay which is really handy if you are into that. One thing that is actually quite simple that I love is that the Gear S3 connects immediately to Bluetooth without any fiddling or errors. Android Wear watches can only be connected properly if you turn on Bluetooth through the Android Wear app if you just connect through the phone it won’t connect sometimes, frequent disconnects were common with my original Moto 360, but I’m happy to say the Gear S3 just connects and stays connected. It even seamlessly transitions from 4G to the phone without any problems. Overall, this is the best smartwatch I have ever owned and Samsung has Tizen down just right. My fears weren’t that Tizen wasn’t as good as Android Wear, but now knowing that Android Wear is so far behind Tizen that it makes me want to never go back. Naysay what I’m telling you all you want, but I loved my Moto 360 2nd Gen, and I was also very frustrated with the bugs and problems with Android Wear and Motorola’s watches brought on. If you want one smartwatch the Gear S3 is the way to go without any doubt. This is the watch to directly compete with Apple Watch, not Android Wear. 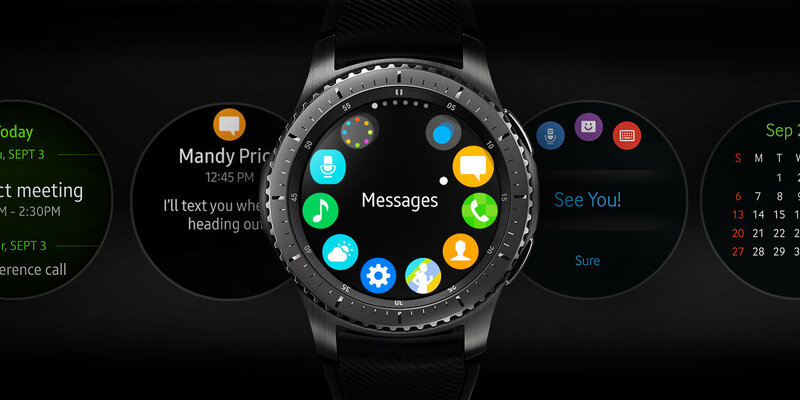 Samsung has the streamlined, robust, and easy to use OS and design that Android Wear seems light years behind on.